Yesterday we have been invited from Iris Ceramiche to the 2018 Architecture Biennale for a guided visit at Padiglione Italia, curated by Mario Cucinella Architects. 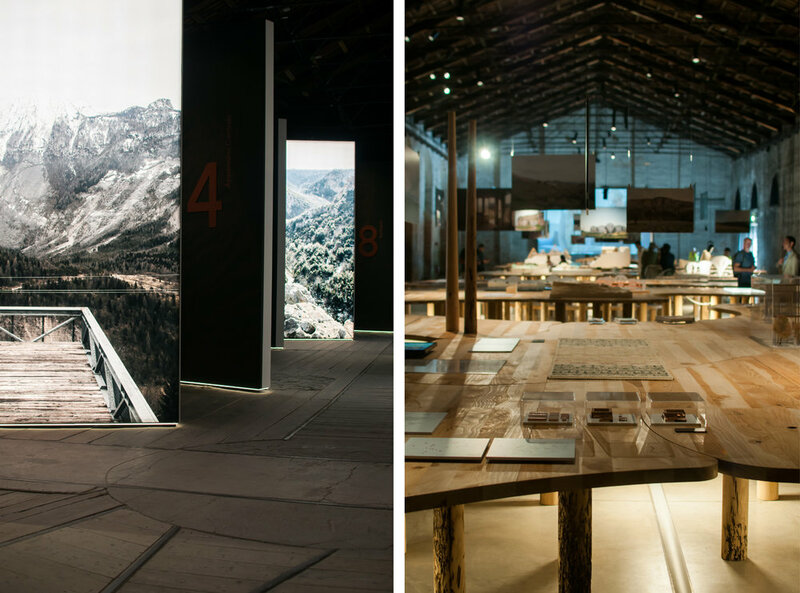 We were very impressed by the amazing job done for Arcipelago Italia, and had the opportunity to have walk around the Arsenale exhibition. Today two members of the studio will be presenting the project Venissa in Barcelona at the international conference Vineyard Hotels Barcelona 2018, along with other firms David Soldevila, GCA Architects and Luisa Bebiano y João Mendes Ribeiro. The studio partner Alessio Bolgan will be attending Edilportale Tour 2018 event on Thursday may 24th, presenting one of the studio's latest projects. We would like to thank Manerba for inviting our studio associate and founder Mariano Zanon to the exhibition 999. Una collezione di domande sull’abitare contemporaneo at La Triennale di Milano. Here’s a conversation he had with Renata Sias and Stefano Mirti about current mutations in the world of living and working. The studio founder Mariano Zanon will be attending The Plan international architecture forum Perspective at Lido di Venezia on Wednesday may 22nd. To partecipate, register at this link. We are proud to announce a new partnership with LAND studio to develop the masterplan of Cattolica's holdings and headquarters in Ca' Tron area. We are proud to announce that the studio has been selected to partecipate to Medaglia d'Oro all'Architettura Italiana, a three-year prize launched by La Triennale di Milano in collaboration with MiBACT, the Ministry of Cultural Heritage, Cultural Activities and Tourism, aiming to promote, and to reflect on, the latest, most interesting works built in the country, and on those who have made these works possible.